Borough Market is to open on Wednesdays. That is fantastic news for fans of “world-class, ingredient-led shopping“. Borough Market is one of those success stories that gives us hope that something better than the homogenised UK high street is possible. When Cafes Are Not Franchises started working in The Borough (as the ancient borough of Southwark is known) about 14 years ago, the market looked as though it was was in its death throws: Just another anachronism from the days when London’s food was brought in fresh every night and distributed round the capital in time for the day’s lunches. The Market Porter pub had (and I think still has) one of those licenses that allows it to open at 6am to serve the, er, market porters. SE1 was one of those postcodes that every world city seems to have – the one that has escaped redevelopment and skyscrapers despite nestling right up against the heart of the capital. There’s far more history to be seen here than there is across the river in the City proper. London’s last surviving galleried coaching inn, an unconsecrated graveyard where the prostitutes licensed by the Bishop of Winchester were buried, Dickens father was imprisoned here, and there’s no prizes for guessing what went on in Bear Gardens. The rebuilding of Shakespeare’s Globe Theatre and the conversion of the abandoned Bankside Power Station into Tate Modern triggered an amazing renaissance. Which is a good thing, right? 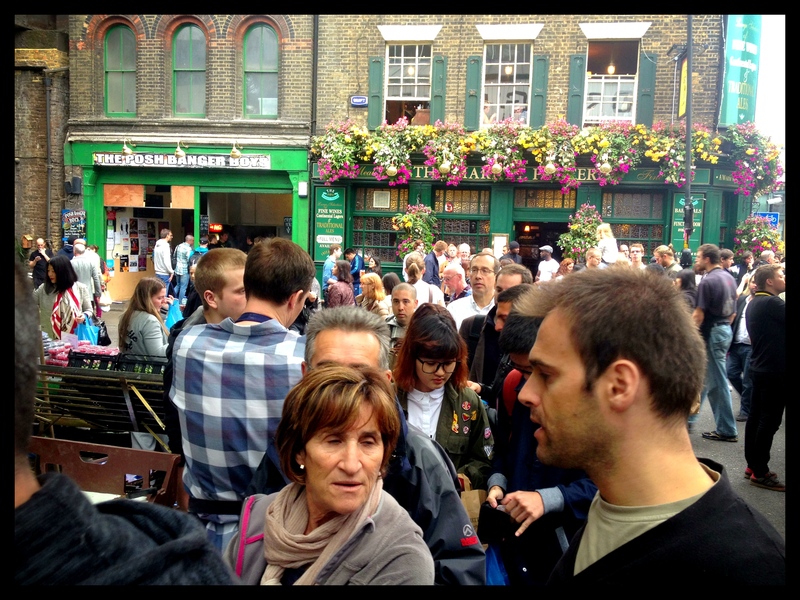 Borough Market isn’t really a farmers’ market for the good foodie people of 21st-century London anymore. It started out that way. Then the food writers on the Sunday papers noticed it and it started to become another of South Bank’s tourist attractions. When the people who make a living writing the insider tips for travel guides noticed it went global. 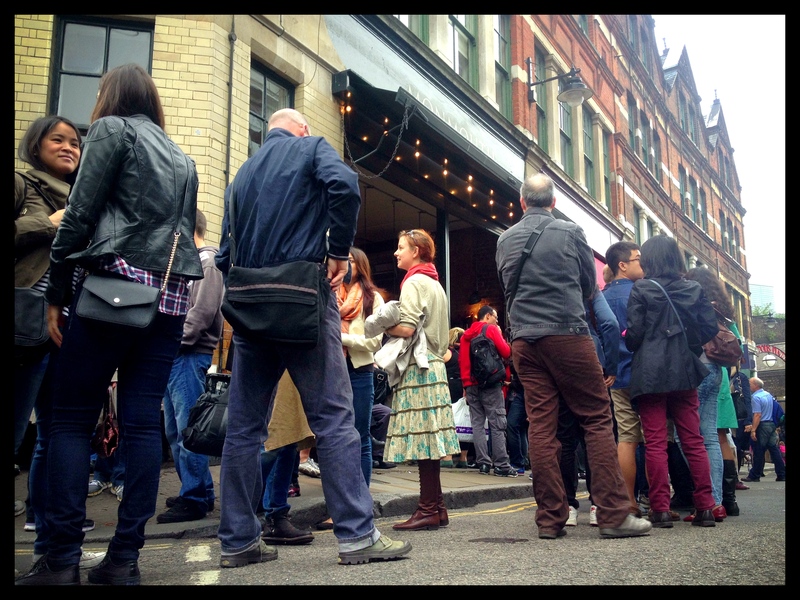 Judging for the queue for Monmouth Coffee on a Saturday it gets especially good write ups in the Spanish and Japanese travel guides. It took a while for the stall holders to adjust to the idea that they were in the tourism industry. A couple of years ago, there were actually signs saying “No photography” which can hardly have made the market’s main customer group feel welcome. Don’t get us wrong: Cafes That Are Not Franchises would far rather have a vibrant tourist attraction that provides hundreds of jobs to independent traders and sells lovely stuff such as wild mushrooms than a dead market, even if the prices are a bit outrageous. It’s just that we were brought up never to eat while standing unless we were at a barbecue. 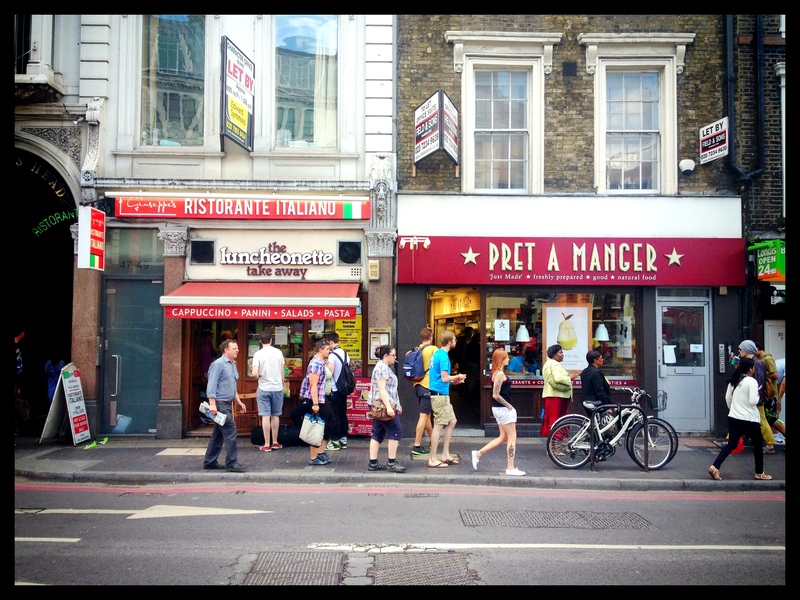 But if you’ve tried having lunch there recently you’ll know that’s pretty much impossible on the main market days, unless you’re happy to stand in the street – and by street we mean road, with cars and hassled delivery vans and all that. But that’s alright, because although the Borough Market effect is spreading (pretty much every new development in SE1 has an allegedly-artisanal food outlet at street level) you don’t have to go far to find a place to enjoy a sandwich and cup of coffee in peace and quiet. Here are some of our favourites (but don’t tell everyone). Just across the road from the market and the Hop Exchange (more SE1 history – there was a lot of brewing round here). 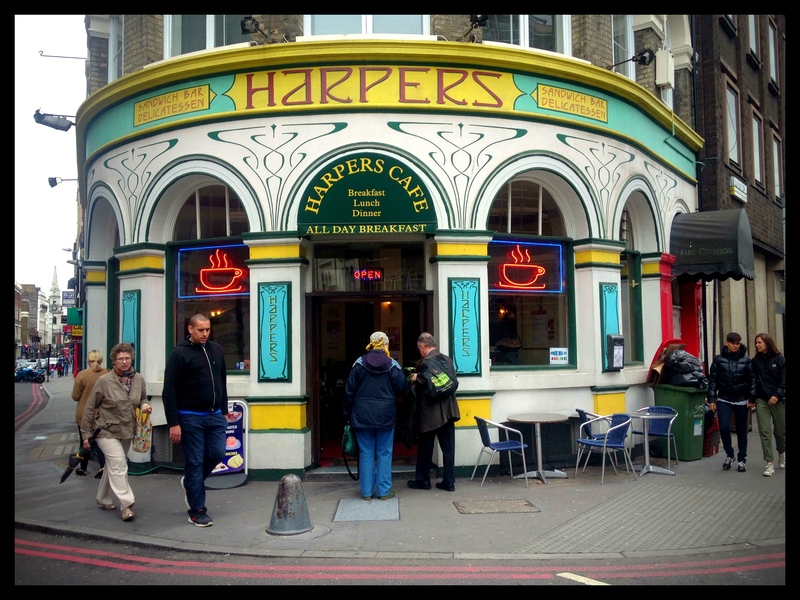 Harpers has been here forever and feels like it – in a good way (Formica tables and no pretension). 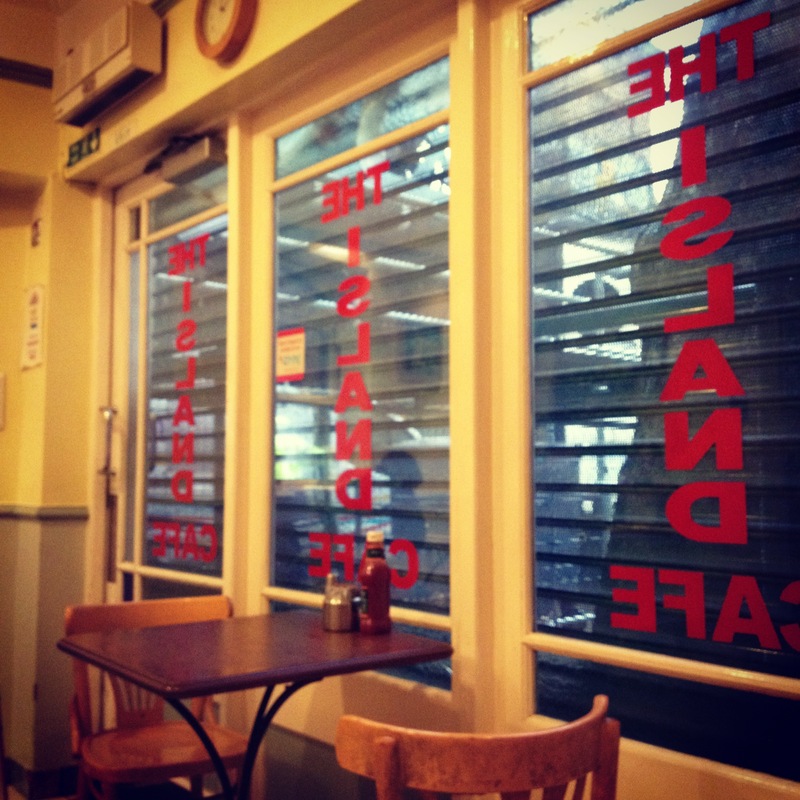 The fare is classic London canteen caf: freshly-made sandwiches, pre-prepared pasta and rice dishes that get a pre-serving blast in the microwave, baked potatoes and strong coffee. Artisan it ain’t. What it is is a friendly place where you can always get a seat, change out of a tenner and hear yourself chat. And that’s why we love it. No seats here, but a generously-proportioned sandwich, a soft drink and a packet of crisps for £3.50 is way better value than the Pret next door. Now polish your indie-caf halo. This is really the canteen for the Globe Theatre’s education centre, but it is open to the public (if you can find the door open button located to the left of the entrance). It does coffee, cakes and a range of sandwiches and reasonably priced hot meals – although the veggie option can be a bit hit-and-miss. It’s almost always quiet in here unless you are unlucky enough to arrive at the same time as a drama workshop has its lunch break. And there are comfy sofas too, if you just want to have a coffee and read the papers. Junk4lunch reviews it here. It’s open on Sunday. The Island Cafe, Flat Iron Square, Union Street and Southwark Bridge Road. A bit further from the market. Some of our crueller colleagues refer to it as “The Old Victorian Toilets” because that is what the little red brick building looks like tucked almost under the railway bridge on a traffic island where three of Southwark’s busiest roads meet. The Island Cafe sells similar fare to Harpers. The coffee is strong. And it has wifi. It’s had a bit of a facelift recently – or rather what the once-grotty traffic island on which it sits has had a facelift. It is now quite a pleasant square (strictly peaking it’s a triangle) with outdoor tables to enjoy in nice weather, and the cafe itself has acquired a right-on, if anachronistic eco-canopy.